Google is gearing up to launch an all-new Chromecast 3 dongle with support for faster Wi-Fi to improve your Ultra HD streams, and Bluetooth connectivity. However, the next-generation media streamer looks set to lose a useful feature added to the predecessor – a magnetic strip that makes it easy to attach the HDMI cable to the main unit for easy transportation. The latest details on the third-generation Chromecast arrive courtesy of a series of leaked images shared on social news site Reddit. The photographs reveal a new "Smart TV Kit" bundle, which includes a Chromecast and Google Home so viewers can control the streaming dongle using their voice. Google's as-yet unannounced Chromecast 3 has the same rounded edges as its predecessor, but sports a sleek matte surface, instead of a glossy black finish. Meanwhile, the Chrome logo has been shunned in favour of a Google ‘G’ to better hit with the new Made by Google branding. The leaked retail package was delivered to a Best Buy store ahead of the Made By Google event scheduled to take place on October 9. 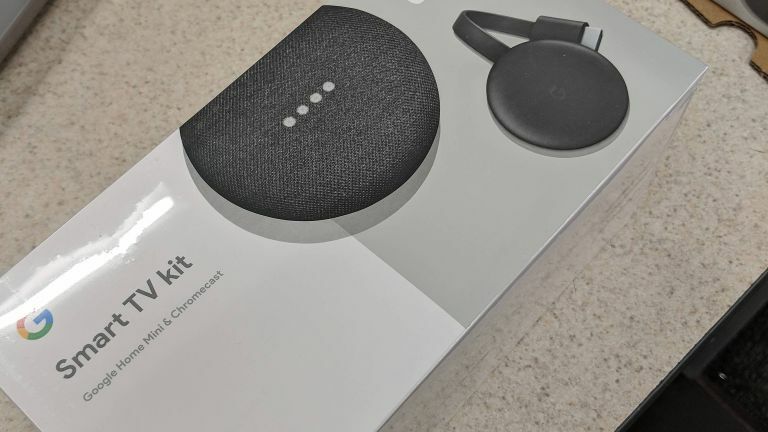 According the employee who uploaded the images of the packaging to Reddit, the third-generation Chromecast and Google Home bundle will be available to buy on October 9, 2018. The packaging also confirms the next Chromecast will ditch the magnetic strip on the back of the device used to connect the HDMI cable for easy transportation. This nifty feature was introduced with the second-generation streamer, when Google moved from a USB flashdrive-like design to the hockey puck and cable. An official filing with the FCC earlier this year has confirmed the new Chromecast will benefit from an improved 5GHz Wi-Fi connection that promises faster speeds. Elsewhere, Google has added Bluetooth LE to the Chromecast this time around. Previous reports suggest the addition of low-energy Bluetooth signals the arrival of a physical remote control for the Chromecast similar to the one that ships with the Fire TV Stick – one of the main differentiators between the two streaming sticks. 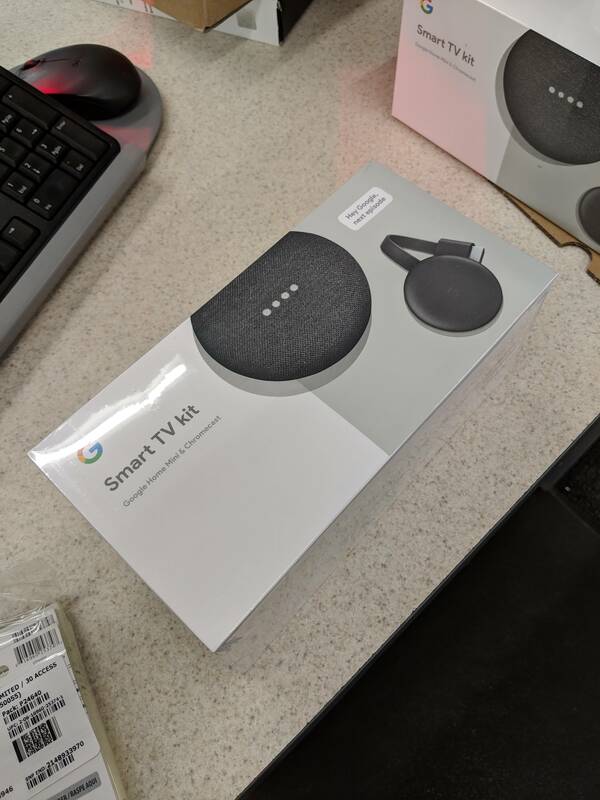 However, the leaked "Smart TV Kit" packaging does not reference a remote control for the Google-branded media streaming gadget. This suggests Chromecast owners will have to continue picking their next binge-watch using the companion smartphone app on iOS or Android, or issuing voice commands to a Google Home smart speaker. Unlike some rumours had speculated, Google will not use USB-C to power the next-generation Chromecast, instead sticking with the same microUSB as all previous versions of the media streamer.